Pierre, South Dakota – We are slowly making progress. We have been here a couple of weeks now and for the most part have spent most of our time waiting on spring wheat to ripen. We have cut a few fields (some have been hailed on), and overall the wheat is yielding around 30 bushels per acre. The protein has been 17-20 percent, which is excellent. However, the wheat is light, weighing about 55 pounds or so. The wheat is standing good, and the conditions have been fair. What we really need are some good drying days, including lots of heat and wind. That would help our wheat harvesting progress a lot. Northeast Colorado - The other night Pieter had machinery issues so stopped in the field, got out of the cab, and hopped off the ladder. Immediately he knew something was wrong. Ryan said he was yelling over the noise of the combine about there being a snake. Ryan thought he was just imagining things as it would be hard to hear a rattle over the roar of the motor. Pieter kept yelling and pointing. When Ryan shined his light in the direction Pieter was pointing, sure enough, there was a rattle snake coiled up and ready to strike. Fort Benton, Montana - Last year 25 percent of our crew went to Montana. This year 75 percent of our crew went to Montana to harvest winter wheat, spring wheat, chick peas and lentils. They have been there for about ten days and have been harvesting full blast nearly every day. Chadron, Nebraska - The last time we were in Chadron for the wheat harvest was 20 years ago. Our kiddos were much younger. 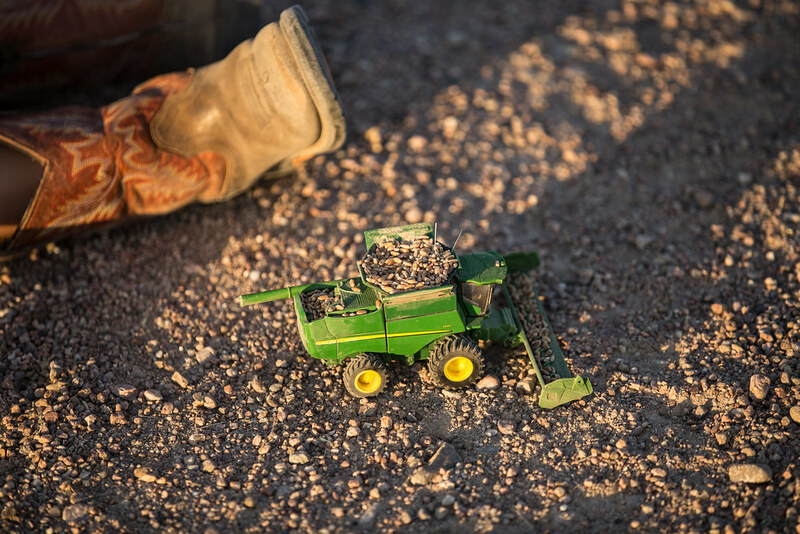 I was pregnant with Callie, and the job I had at that time had nothing to do with spending time in the field (except to haul meals) or the combine. My job was so much different back then. I was in charge of kids, activities, food, laundry and being the "go-fer." Little did I know that just four short years later, plans would change. Man... what I wouldn't give to be able to step back in time and relive one of those days. Those days seemed they would never end because of the needs of the kids, the husband and the hired man. When I see familiar sights in this town, I think back to those days. One of my favorite memories is attending the circus held under the big tent on the east side of town. We went with those same harvest friends (Krumbach Harvesting), whom shared their acres with us this year. They also have four children very close to the same age as our girls. I remember how excited they all were when the elephants made their grand entrance, and I'm certain there was cotton candy involved.